I'll start with the first close-up photo of Sasha's latest baby, Tarzan. I want to apologise on behalf of Sasha. 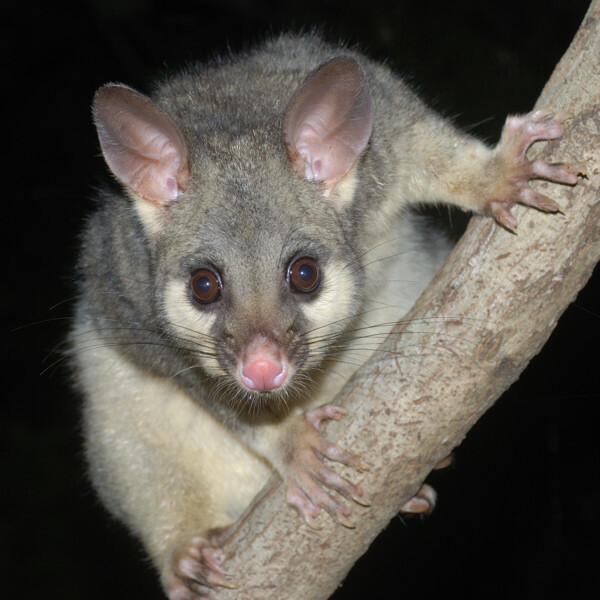 At the start of December I announced a Baby Possum Alert with great fanfare - I even created a special graphic for it - urging people to tune in to see the cute antics of Sasha's latest baby. 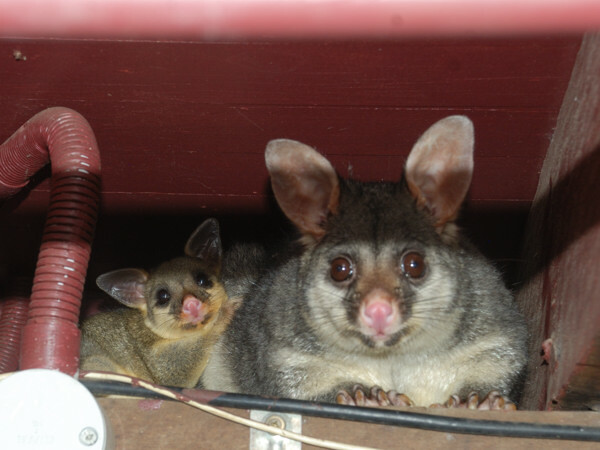 Anyone who actually did this would have faced the disappointing spectacle of empty possum boxes day after day. 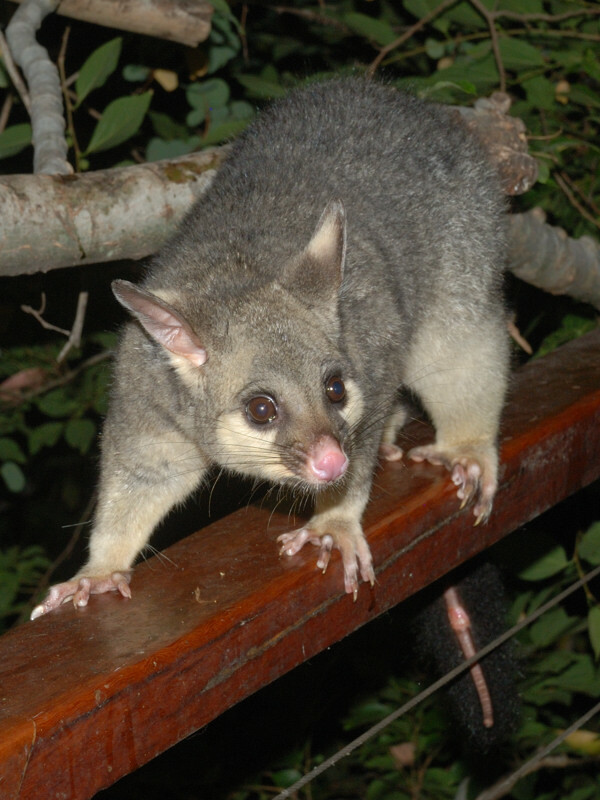 The problem is that Sasha has taken such a liking to the possum apartments created by recent renovations that she has been sleeping there most days. Here is a photo of Sasha and Tarzan in one of these. Tarzan has now reached the stage where he's back-riding all night. 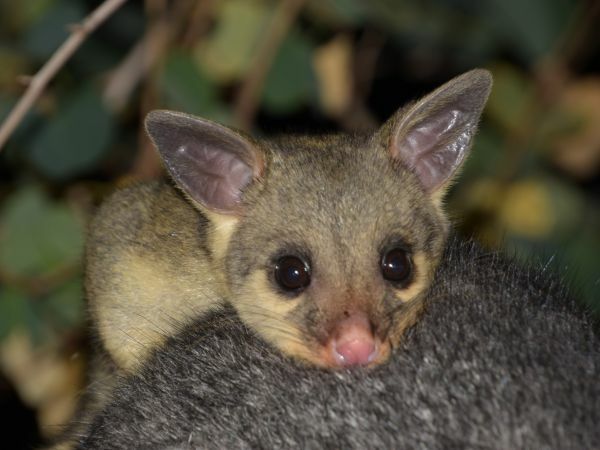 This means that if Sasha and he do decide to sleep in a possum box, he'll be tired and sleeping most of the time and not up to mischief like he would have been a few weeks ago. But they still look cute and it's still worth checking the box cameras. Sasha's previous baby, Arrow, is still around. 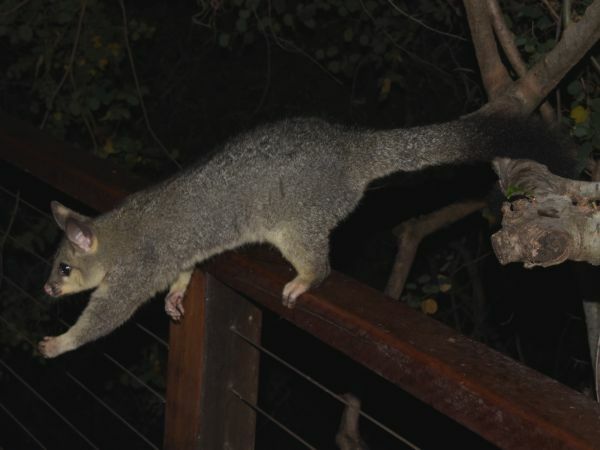 He has currently has a small but ugly wound on the under-side of his tail (it looks worse than in the photo below, I might post close-up photos later but I'll spare you the unpleasantness at the moment). Normally small wounds like this will heal quickly (they will be noticeably better within a week), but this one was still not healing after nearly two weeks, and looks like exudative dermatitis. The vet has prescribed antibiotics for this. Koji has visited again a couple of times after a long absence. This is just like his father Wasabi used to do. He's in very good condition. Zoë has two babies. 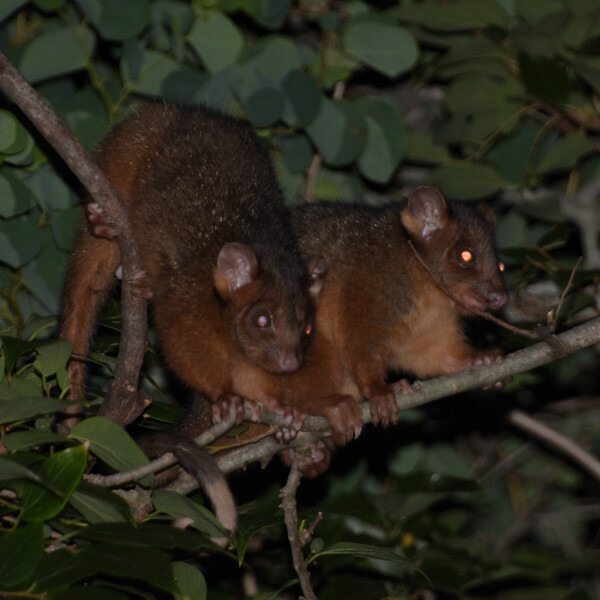 She had been keeping them out of sight, but now they have grown up enough to go out on their own and I managed to get some photos of them recently. Koji is almost certainly the father of these two. 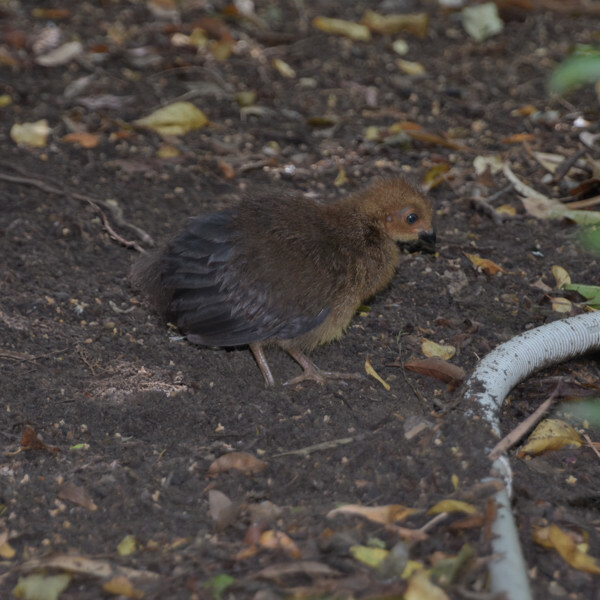 A few days ago, one of Gatsby's chicks hatched. 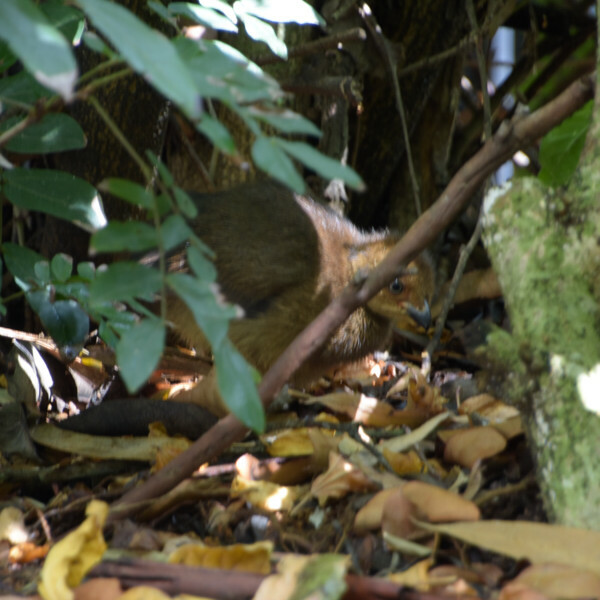 Here are some photos of it. 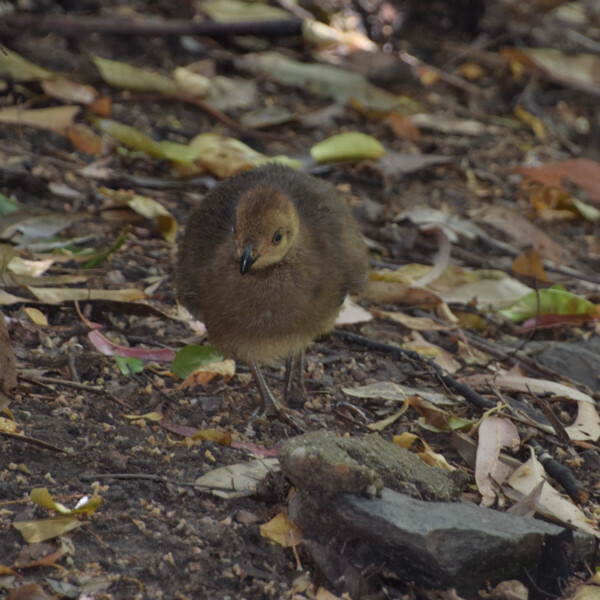 They say that brush turkey chicks are completely independent after hatching and aren't cared for by their parents at all. I think there might be more to the story than this; twice recently Gatsby was witnessed chasing a cat out of the yard, and today Gatsby and another turkey (possibly the mother) seemed to be patrolling the yard very vigilantly, as if keeping a lookout for predators. Tarzan is of yellower colour that Sacha, like her previous babies. However, Arrow seems like he lost the yellowness and looks more like Sacha now. Is it true, or it is an effect of the photo? This is a real effect, however in the photos above it is also to a very small extent a camera artifact. 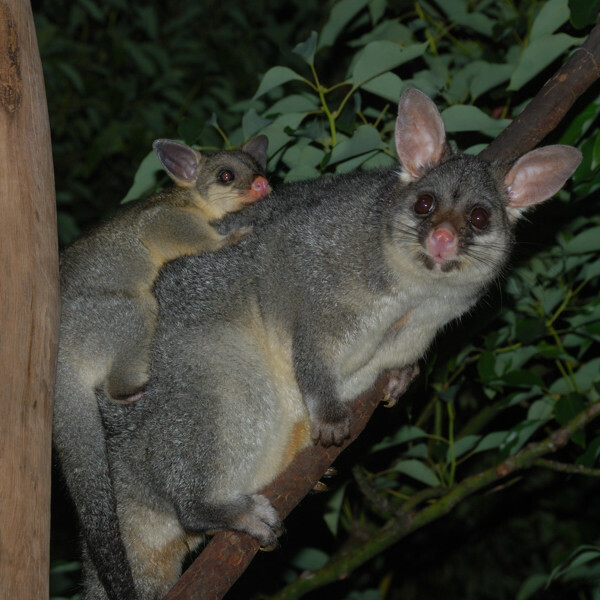 Baby brushtails generally start off very a orange/yellow shade and get greyer as they grow older. 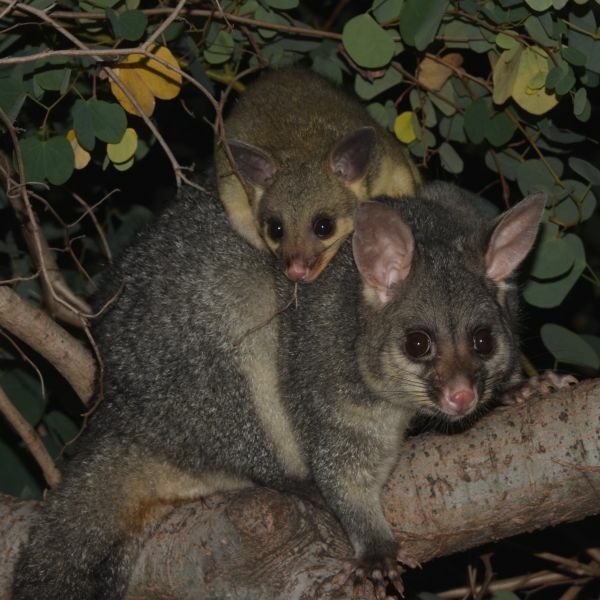 It varies a bit from possum to possum and sometimes a possum will start to get orange again (usually males and usually around the shoulders) after they reach maturity, however a baby in the pouch will almost always be very orange and will start to become significantly greyer as it ages. 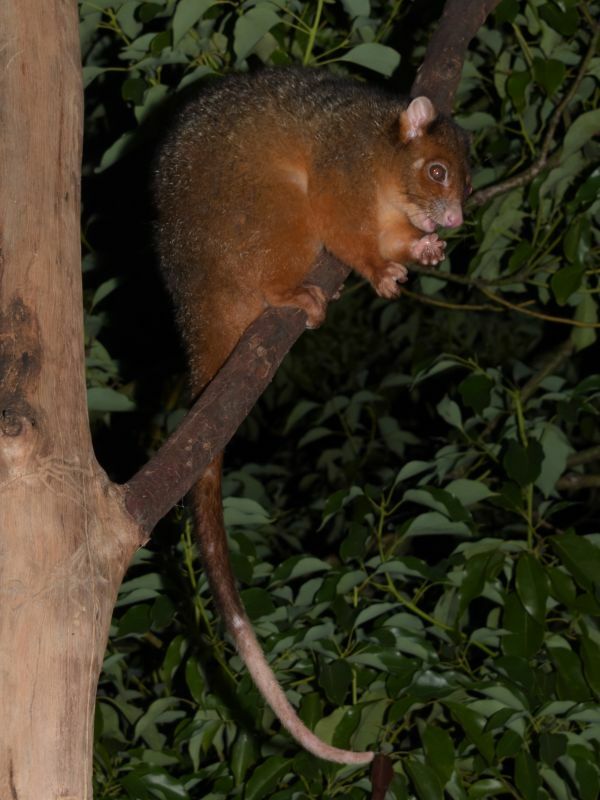 The issue with the cameras is that there are two cameras in use for photographing possums; an older one which seems to get the colour of brushtails more accurate and a newer one which is better for ringtails, but causes brushtails to look a little yellower than they do in real life. You can see the difference in the third and fourth photos on the page where Tarzan is back-riding on Sasha; the top one was using the old camera and is a more accurate representation of both Sasha and Arrow. 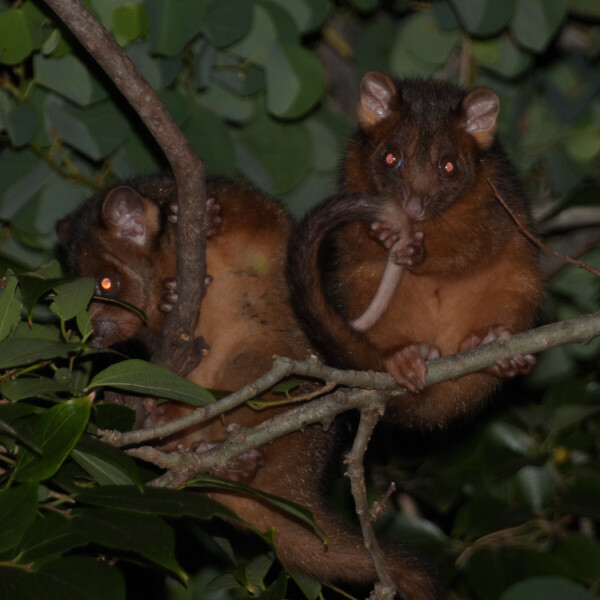 The one below was taken with the newer camera and shows both possums to be noticeably yellower.